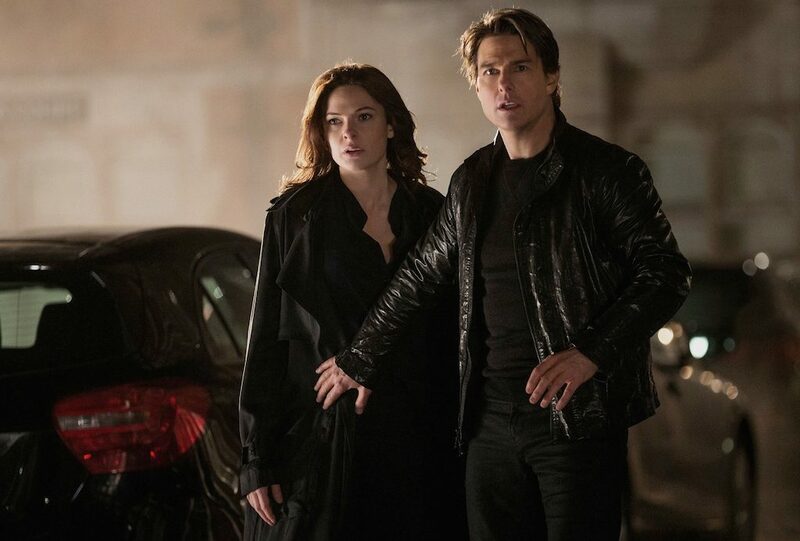 I’ll admit it: I’m tired of Tom Cruise, and wasn’t particularly looking forward to seeing him make another run as Ethan Hunt in the “Mission Impossible” series. But I have to compliment the filmmakers: They make Cruise fun and thrilling from the opening segment, in which he hangs onto the side of an airplane as it takes off with nefarious cargo. Cruise goes rogue, as the CIA angles to shut down the Impossible Mission department. His friends from recent episodes join him, including the very funny Simon Pegg as well as Jeremy Renner and Ving Rhames. Alec Baldwin heads the CIA, and as usual makes a great foil. Rebecca Ferguson saves the movie as a double or triple or deep cover agent, who either hopes to kill Cruise or help him. She saves his life during the movie high point - an underwater caper in which Cruise must reprogram a computer while holding his breath. Sean Harris makes a great bad guy... yet another rogue agent, who now heads an international syndicate out for no good. Several times, “Rogue Nation” made me laugh or gasp or engage. Cruise is 53 years old, and I don’t know how many more of these he has in his future. “Rogue Nation” would be a marvelous place to stop. Does it deliver what it promises? Thriller with thrills. Is it entertaining? Very engaging. Is it worth the price of admission? One of the best of its kind.